A thrilling, stylish and performance oriented S model is going to be member of Audi S family, 2012 Audi S8 will be launched in market in spring of 2012 so keep your fingers crossed for this exciting member and get ready for a warm welcome. 2012 Audi S8 is powered by twin turbo V8 engine which is fuel efficient and produces 520 Horsepower and torque of 479.42 lb-ft.
You will be surprised to read that 2012 Audi S8 is a light weight vehicle and its weight is just 1,975 Kg because body of this luxury sedan is composed of aluminum but B-pillars are composed of high quality steel. Single frame grille in Audi S8 is platinum grey and 8 twin bars are wrapped in chrome, bumper looks sharp due to aluminum-look blade and shiny black plates are situated in side air intakes along with aluminum look ribs. Unique LED headlights and double glazing are among the much talked exterior feature of Audi S8. 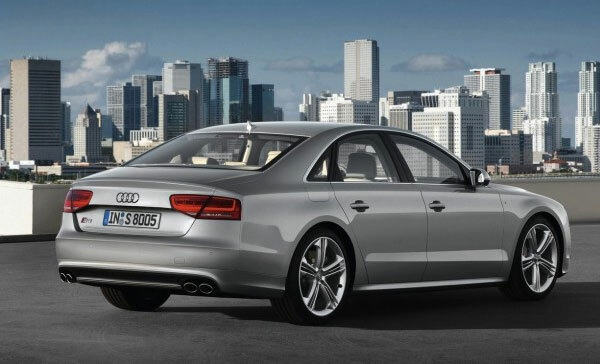 2012 Audi S8 will be available in 13 shades and you will find S8 and V8 T badge on front and back sides. Interior of 2012 Audi S8 is very classy and features power adjusted comfortable sport seats that can be adjusted in different ways. These comfortable seats have been especially designed for 2012 Audi S8. Stitching and piping of seats are in contrast of steel grey. Sport steering wheel is composed of leather; as far as seat upholstery and inlays are concerned one can select among wide range of colors. Leather seats will be available as soft valcona leather and seats will be available with the function of ventilation and massage function. MMI navigation plus which is available as standard latest entertainment feature in S8. S8 also features Band & Olufsen Advanced Sound System along with 19 speakers and 1400 watt amplifiers which will present amazing sound. 2012 Audi S8 features Pre-Sense system as superb safety feature. Adaptive cruise control with stop & go function is also available on 2012 Audi S8. The most innovative features of 2012 Audi S8 are the driver assistant systems which are closely integrated with each other as well as navigation system. 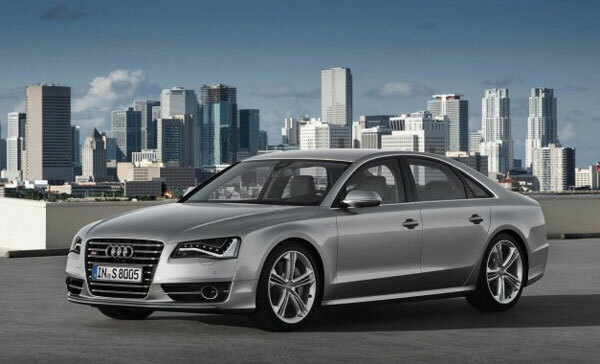 2012 Audi S8 is among the much awaited luxury sedans of 2012; let’s see to which extent it will meet the expectations of enthusiastic drivers.